A book can be created during initial account creation. 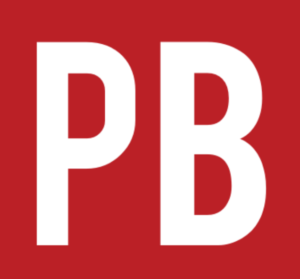 (See Pressbooks Accounts.) However, if you skipped that step when creating your account, or if you need to create an additional book (your account can hold many books), here’s how to begin. Log into your Pressbooks account. Hover over the “My Catalogue” link in the top left corner of the upper red banner in your Pressbooks account to reveal a drop-down menu. Webbook Address. 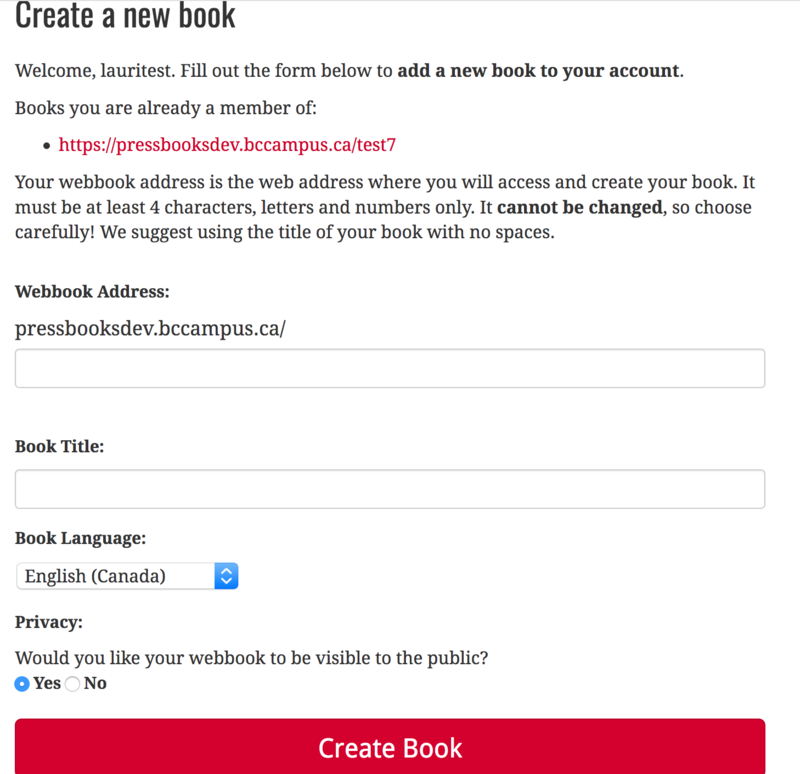 This is a short descriptor that is added to the end of “https://pressbooks.bccampus.ca” to create your webbook’s URL or web address. the title or abbreviated title of the book (with no spaces) is often used. it must be at least four characters, letters, and/or numbers. it cannot be changed so choose carefully. Book Title. This can be changed later if needed. Book Language. “English (Canada)” is the default selection. Privacy. The default is setting is “Yes,” which will make the book public. However, we recommend you select “No” so you can work on your book in private. Once you have filled in all of the fields, click the Create Book button. For more information, see Automatic Pages and Content and Table of Contents: Adding a Second Level in the Pressbooks User Guide. The below video is from the Pressbooks Video Tutorial Series. Add a New Book by Lauri M. Aesoph is licensed under a Creative Commons Attribution 4.0 International License, except where otherwise noted.